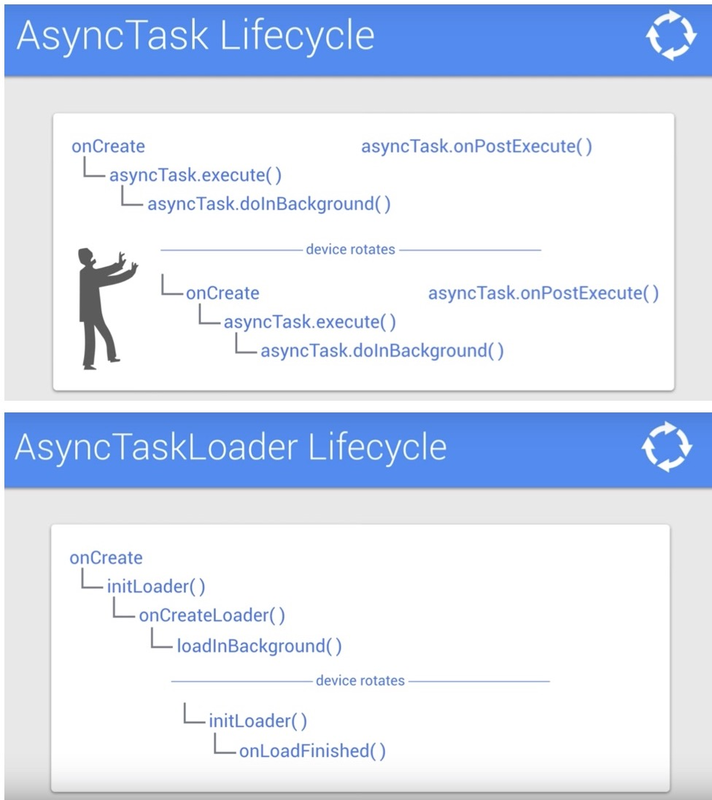 AsyncTaskLoader is a better choice for Activity-bound thread management, because it handles lifecycle changes correctly, delivering the result to the current active activity, preventing duplication of background threads, and helping to eliminate duplication of zombie activities. 1. Create a cache member variable in your AsyncTaskLoader implementation. Override deliverResult() so that save the fetched data in your cache first, before you call the superclass's implementation of deliverResult(). 2. In onStartLoading() check if there's cached data, and if so, let your AsyncTaskLoader just deliver that. Otherwise, start loading. //If mGithubJson is not null, deliver that result.